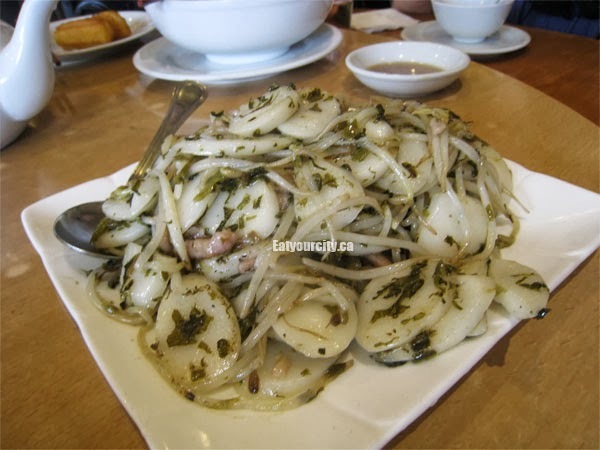 Eat Your City: Longs Noodle House, Vancouver, BC - tasty xiao long bao and other Shanghainese treats! Longs Noodle House, Vancouver, BC - tasty xiao long bao and other Shanghainese treats! Posted by I love dumplings. And when Vancouver is known for making really good xiao long baos, you bet I'm going to have at least one meal with xiao long boas on the menu at least once while I'm in town. 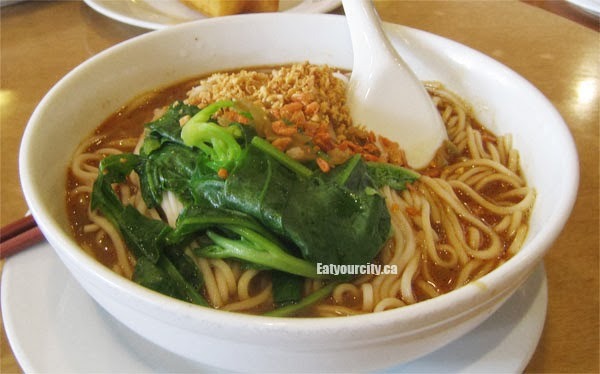 This little noodle house is a little gem and known for their traditional Shanghainese fare. Sign me up! We went as a big group, as its easier to order and try more menu items. This little hole is in the wall is pretty non-descript and you can easily miss it. We started off with some fresh warm lightly sweetened soymilk. You can get it cold as well, but its a nice way to wake up in the morning, even though its a bit odd to ladle it into cups or bowls. To balance out the healthiness of the soymilk, we had Chinese fried donuts. The yeast based dough strips were fried to a nice crispy without being grease laden. Mmm! Next up was the xiao long bao! The dough was paper thin, yet just had enough of a pinched "nub" at the top for you to get it to your bowl (and mouth) without tearing easily). Rich savory broth and a little meatball rests within! Mmmm! Pan seared dumplings were next up - similar to the xiao long bao, there's a good bit of meat broth hidden inside the savory bites. As this was brunch, we wanted some starch too, so we ordered the Tan Tan noodles. We ordered both versions the restaurant makes - vegetarian and meat. Perhaps it was the timing or we didn't get to the noodles fast enough and they absorbed up too much of the spicy rich sauce, but the noodles lacked the al dente mouthfeel when we bit into them. And no, they can't remove the peanuts out of the sauce, so if you're allergic, you may want to avoid this one. 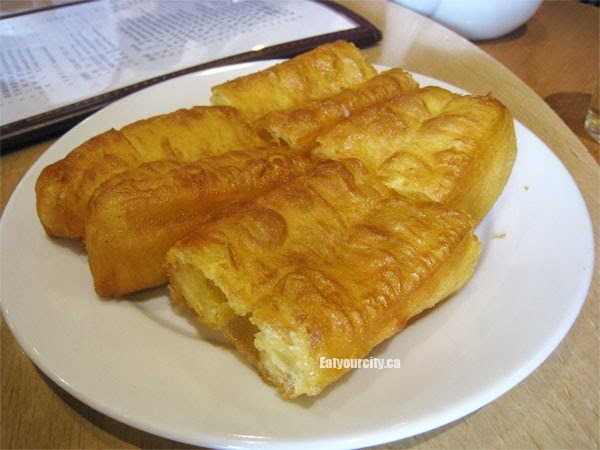 One of my friends has to have fried green onion cake with every Chinese style brunch, and Long's Noodle Houses's version is a bit dense but has some nice layers built into it. The Shanghai stir fried leen-go was super simple, but I loved it as soon as I tasted the soft rice/starch pieces stir fried gently with salted pickled? spinach, bean sprouts and rich flavorful pork jowl. So simple and sooooo delicious! The turnip pasty was a miss. While the exterior dough was nicely layered and crisp (liked the sesame kick), the interior was undercooked,, unless you like a bite of super peppery raw diakon to wake up to. Head here for this little gem for simple and delicious traditional Shanghainese eats!